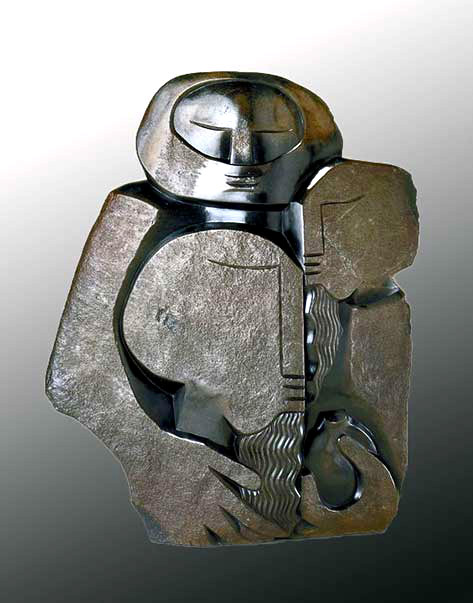 Shona sculpture is a visually striking artform that started in the late 1950s in Zimbabwe. Under the skillful hands of a master craftsman or woman cold hard stones like Serpentine and Opal-stone gradually yield to the forms it is being coaxed into, often polished to a shiny, smooth finish characterised by cool sleek lines powerful and evocative. Finished sculptures can end up weighing several tonnes. The process is one that requires patience, dedication and an understanding of the material being used. Like a lot of contemporary African art, Shona sculpture is thought-provoking, often used as a vehicle to highlight the pressing issues of the day in literal and abstract forms. Instantly recognisable Shona sculpture is highly collectible, a revered art form sought by collectors across the globe. Shona Sculpture has, and continues to produce noted artists; amongst them: Nicholas Mukomberanwa, Henry Munyaradzi, John Takawira (all late), Dominic Benhura and Colleen Madamombe; with some artists belonging to the different generations of individual families as the skill gets passed down. At a local level has spawned many an imitation carved out in the, more cheaper and fragile soapstone. 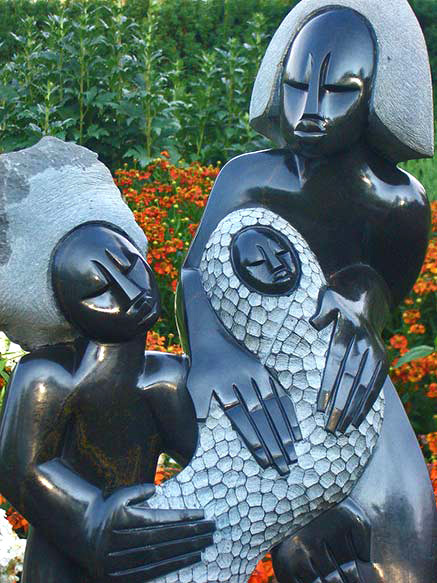 Chapungu Sculpture Park in Harare is home to one of the most important collections of Shona sculpture in the world today. Internationally there is Guruve in the UK; Chapungu Sculpture Park Colorado in the USA to name a few.